When the Scottish Gin Society visited Phil, Tabatha and Panza at their home and distillery in The Pentland Hills, we were welcomed to a real sense of passion and desire to do something worthwhile. Tarbraxus Distillery (home to Pentland Hills Gin) isn’t just dedicated to producing excellent Scottish Gin, but we learned that sustainability is at the heart of everything they do there as well. 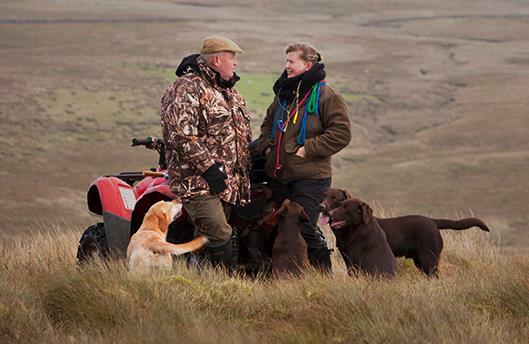 Phil Cox – Head Distiller, says that the decision to make gin in this remote corner of South Lanarkshire was based upon their family ethos of sustainability, centred around their lives in the Pentland Hills with dogs, cats and occasional sheep. You might not know this, but Pentland Hills Gin is already made using solar power and, in the relatively near future, the team hope to have their own bore-hole up and running, meaning fresh, pure Pentland Hills water for the distillation process. In the meantime, they have undertaken an analysis of their Scottish Water feed to understand how much plastic is within the water they use (in consultation with Strathclyde University). In line with their sustainable outlook, where they can, they also use locally-grown botanicals to flavour their gin and are working to grow the majority of those required within their own polytunnels (Apparently, however, it is a bit difficult to grow cocoa and oranges in South Lanarkshire but you never know!). 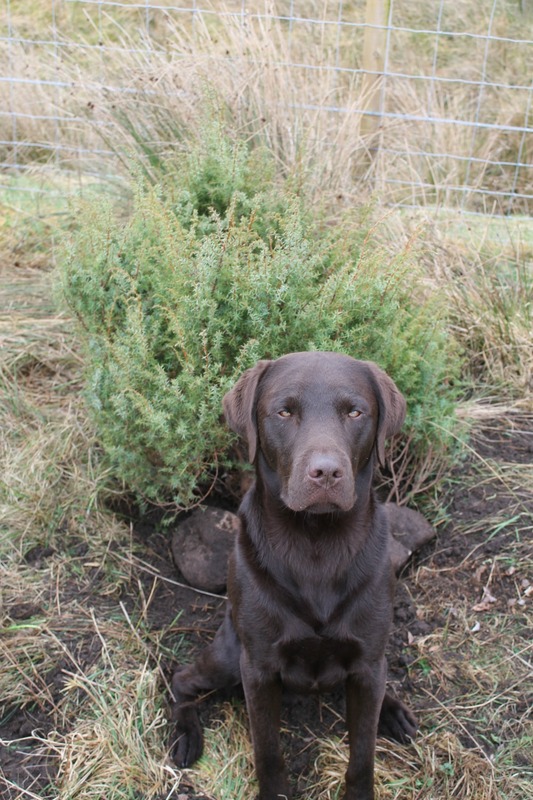 Panza – star of the Pentland Hill Gin bottle guards over one of the newly planted juniper trees! They have also developed a bespoke cardboard box that can sustain a number of postal journeys. And, even better, customers using the refill service save themselves a tenner! Phil believes that there is no ‘silver bullet’ within ‘circular sustainability’ and the Tarbraxus Distillery team really believe that all ideas that support the environment, big or small, count. To find out more about Tarbraxus Distillery, the refill service, Panza (the labrador) or to buy Pentland Hills Gin, visit their webiste.